After enduring silence, violence, and impunity for decades, now is the time for women survivors across Myanmar to speak the truth to the nation and beyond. On March 24, 2018, Asia Justice and Rights (AJAR) is launching its film and report “Speaking Truth for Peace: Women’s Experiences of War and Impunity in Myanmar” in collaboration with Karen Women’s Organization (KWO), Ta’ang Women’s Organization (TWO) and Vimutti Women Organization (VWO). The launch is timed to honor the International Day for the Right to the Truth Concerning Gross Human Rights Violations and for the Dignity of Victims. 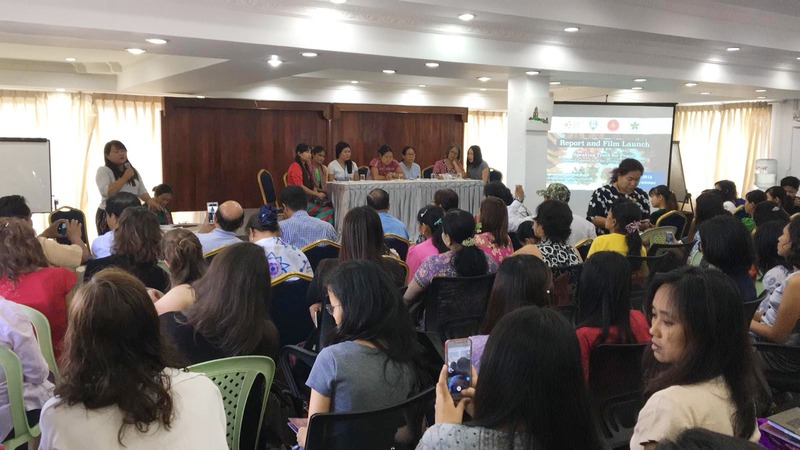 The report captures the stories of 31 women from Myanmar – former political prisoners and land rights activists, Ta’ang women from conflict-affected Northern Shan State, and village heads who served during conflict in Karen State. It is based on AJAR and partners’ participative research. The report outlines AJAR’s Unlearning Impunity methodology, presents key findings from our research, and provides a list of recommendations for obtaining truth, justice, peace and reparations for women survivors in Myanmar. The companion film depicts the in-depth stories of three women featured in the report. It also shows how women survivors in Myanmar are beginning to come together to share their stories and call for peace. Women from different backgrounds in Myanmar are suffering from human rights violations and their consequences, and are relying on their own resilience to survive. This often includes building new livelihoods. Women survivors need assistance, access to basic services, and psychosocial support to address the consequences of violence and help them get back on their feet. Reparations programs would be a critical way of providing assistance for survivors. Immediately put an end to violence against women during conflict and political repression. Ensure women’s meaningful participation in the peace process and political dialogue. Recognize survivors’ right to truth and undertake independent, impartial and effective investigations into human rights violations. Recognize survivors’ right to justice and provide them with legal assistance and access to a transparent justice system that will hold perpetrators accountable. Recognize survivors’ right to reparations and establish services for women survivors that include healthcare, trauma support, reproductive healthcare, job creation, skills training, and microfinance.